Coney Weston is a village in Suffolk, within the St. Edmundsbury district. It is stretched along two roads, Thetford Road (going from the north west to south-east) and The Street (heading east). 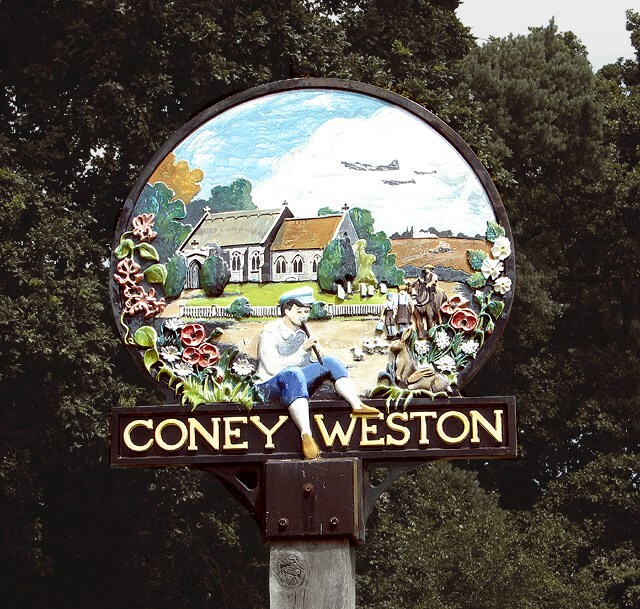 In 1988 the population of the village was doubled by a boundary change which officially incorporated the Swan end of Barningham into Coney Weston. At present there are 323 people on the electoral roll living in around 150 houses.